With an athletic background in Football and Rugby, exercise has always been a priority and passion in Carl’s Life. Carl stumbled upon CrossFit in 2010 while looking for a smarter, more efficient way to train and get in better shape. It has since changed his health and fitness lifestyle. 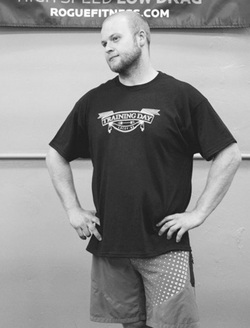 Carl has coached CrossFit since 2012 when he received his level 1 certification and has since gained certifications in powerlifting, mobility and movement. Carl is passionate about coaching because he finds it to be rewarding to see people progress and do things they never thought they could or to reach a goal they have for themselves. He loves CrossFit overall because it helps people better themselves both mentally and physically. Carl and his wife Alix, make their home in Olympia and enjoy working out together regularly.